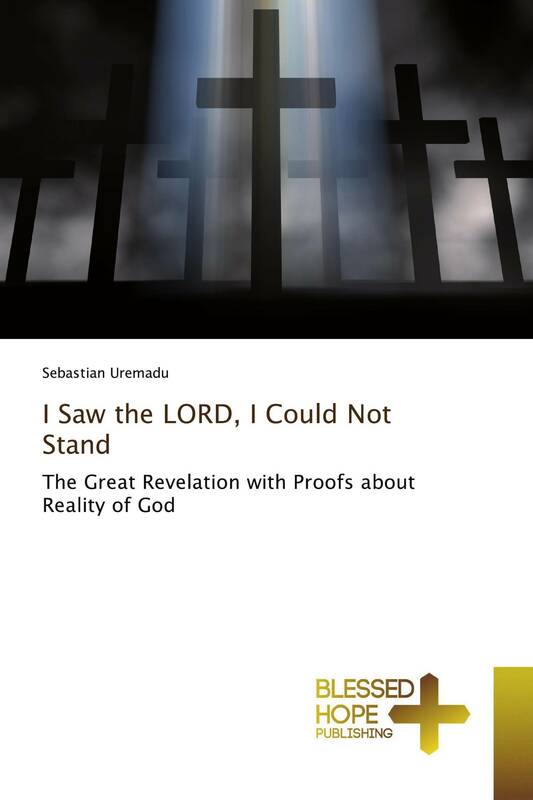 This book is an account of how the LORD appeared to the author in 1983. Since after that incident much revelations have been granted to the Evangelist, most of which are discussed in this book. Cases covered include places where God appeared to persons in the Old Testament; and revealed His Son to persons in the New Testament as it occurred to apostle Paul, on Damascus road; and to Daniel in the ancient times (Daniel 7:13-14) and to Isaiah the prophet when King Uzziah died (Isaiah 6:1-6), and so on! In fact, mysteries issuing from the revelations, no doubt, confirmed existence of God the Almighty, His Son, Jesus Christ and the Holy Ghost. Much more, God's grand plan for creating man to reign with Him eternally also came to the fore. Therefore, the reader will not be disappointed having read this divine account. The central message here is that God is real, and that He had at different times appeared to people including this author. That the world needs truth about existence of God which this book has profoundly established. That any object or personality that could appear in dream, trance or vision must have spiritual or physical existence too.